Voted by inn-goers in Arrington Journal’s 2004 Book Of Lists as one of the top 15 Inns To Visit Again And Again and in 2003 one of the top 15 for Best Hospitality. 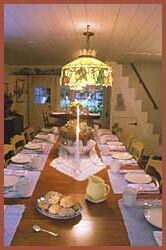 2003 Silver Award Winner: Best Mid-Cape Bed & Breakfast Inn, Cape Cod Life Magazine. 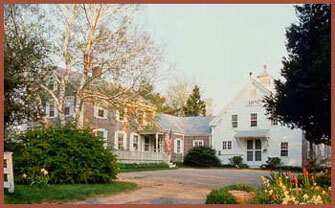 Country Ambiance and Hospitality in the Heart of Cape Cod! These Cape Cod rentals will enchant you! National Seashore & Hyannis, MA. Enjoy the country ambience and hospitality of Isaiah Hall Inn, a Cape Cod bed and breakfast ideal for a romantic New England vacation getaway. Open Year round, this lovely 1857 farmhouse is tucked away on a quiet historic side street near Cape Cod Bay. From here you may take a leisurely stroll to Corporation Beach, Cape Cod’s oldest cultivated cranberry bog or the village of Dennis, Mass. with its antique and craft shops and excellent restaurants. Or visit the Cape Museum of Fine Arts and the Cape Playhouse, the oldest summer theater in America just around the corner. For those seeking for more active outdoor pursuits, there is the Cape Cod Rail Trail with its 40 miles of biking terrain, two tennis clubs nearby, golfing at Dennis Highlands and Dennis Pines and whale watching cruises from nearby Hyannis. Cape Cod National Seashore, with its six swimming beaches, eleven self-guided nature trails, and a variety of picnic areas and scenic overlooks provide a haven for naturalists, recreational enthusiasts, and those who just want to bask in the beauty of the Cape. The Inn's locale is ideal for reaching all that Cape Cod has to offer in under an hour. For those looking to relax and escape the every day hassles, the Inn's guestrooms, guest suites, and beautiful gardens are a great place to decompress. Or you may choose to lounge in our parlor with country antiques and Orientals or pass time in our great room with white wicker furniture and knotty pine walls. Our quiet location means you are more likely to hear the sound of birds than the sound of traffic.